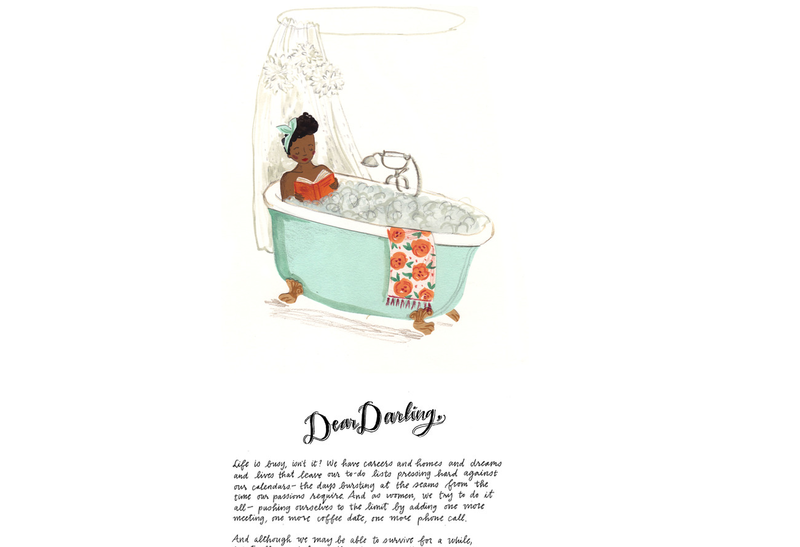 Here is my latest illustration for Anthropologie’s blog. This month the article was all about taking the time to unwind. I could do with a bit of that! I know it’s not a big change, but I moved away from my usual pink and mint colour palette to orange and mint and I really like it! 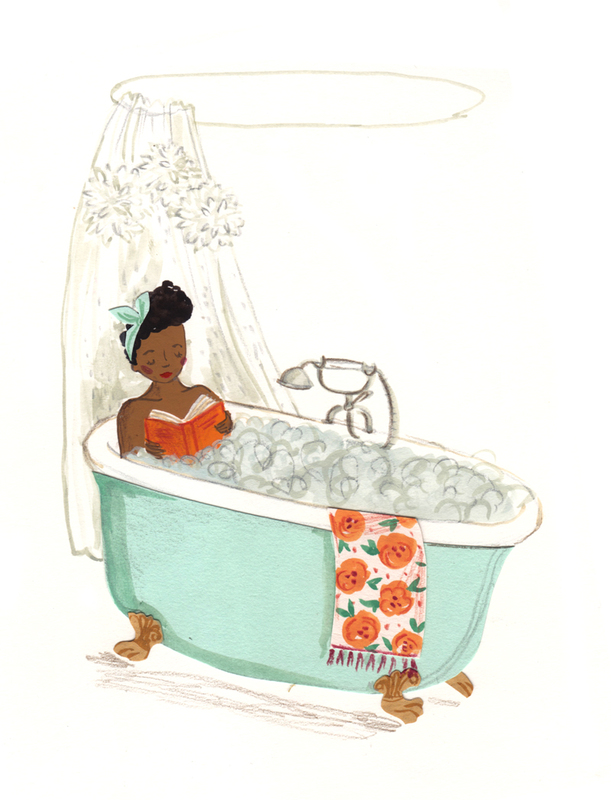 This entry was posted in Illustration and tagged anthropologie, bath, bathing, bubble bath, collage, colour palette, floral, gouache, illustration, mint. Bookmark the permalink. yes! love the introduction of a slightly new color palette. you are so good with colors! those colours are perfect together! really love this 🙂 and love her headscarf!